Herefordshire Council has completed the lease of Edgar Street stadium to Hereford FC. 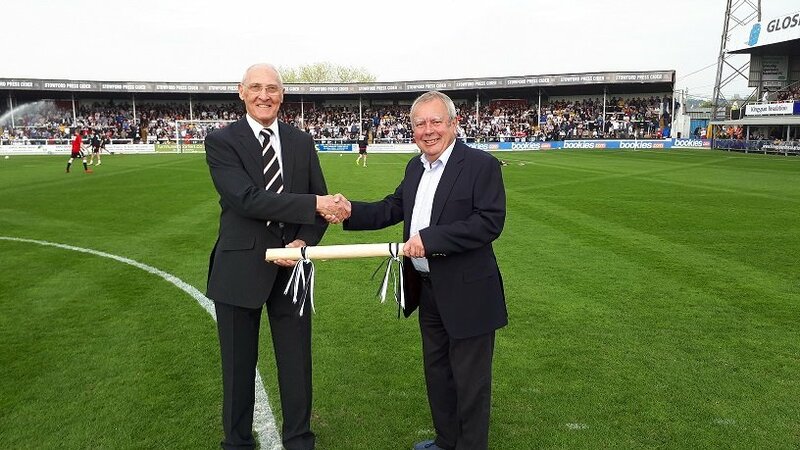 The ten year lease will secure the club’s tenancy at the Edgar Street stadium until 2030, enabling the club to proceed with plans to return the ground to a four-sided stadium. The wider area has undergone substantial redevelopment in the last four years, with the opening of the Old Market shopping development in 2014 and the construction of the City Link Road in 2017. The proposed ‘Urban Village’ project, part of the Hereford 2020 Edgar Street regeneration, could potentially mean joint investment from Herefordshire Council and Hereford FC for a new stand and facilities at the Blackfriars Street side of the stadium, with the opportunity for nearby retail outlets. “The security of the club’s tenancy until 2030 is a real boost for the club and for the fans. Herefordshire Council is looking forward to working with Hereford FC to build on this year’s league success by planning and investing in the stadium - potentially transforming the Edgar Street area and providing new opportunities for retailers. “The lease extension now means we have security until the summer of 2030, which will justify continued investment in the stadium by the club and, hopefully, set at ease any concerns about security being felt by any of our supporters. I thought this land was left in someones will to be used for recreational purposes, so I take it that the council hold the lease? So it is down to the council to decide what the ground is used for then?